Amidst rampant fears about a recession, partially provoked by a yield curve inversion, something interesting has happened. Specifically, global economic growth already appears to have bottomed. Bigger picture, this development has the potential to spark a massive capital rotation, as almost everyone is positioned in the lower for longer camp. 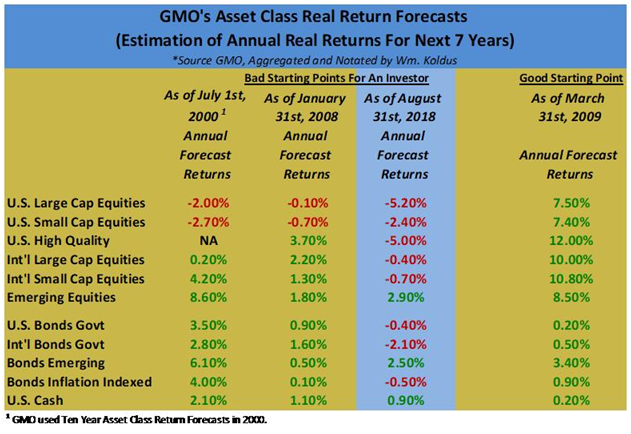 For someone who has regularly used a version of the following table the past five years, I am more bullish than you would think, particularly on a subset of undervalued, out-of-favor equities. More specifically, I am bullish on economically sensitive equities, with global growth bottoming in 2016. Recently, a partial inversion of the U.S. yield curve has sparked fears about a forthcoming recession, yet in the midst of this development, something interesting has happened. Global economic growth readings have turned higher, once again, and this has important implications for many investors, most of which are positioned with "lower for longer" in mind. Global economic growth bottomed in early 2016, accelerated, then pulled back once again over the past year and several months. This secondary dip in global growth expectations has left its fingerprints all over the investment landscape, however, global economic growth has likely already bottomed, this time at a higher low than 2016 levels, and is once again turning higher. China's slowing, particularly, relative to its growth expectations from 2011-2015 caused global capital to flow to the United States. However, in late 2015 and early 2016, a massive fiscal and monetary stimulus from China stemmed the relative downturn in their economic growth, and sparked a brief reflationary trade that caused many crowded trades to become unwound. Publicly, I wrote about this, with an article titled "The King Of All Reversal Trades Has Arrived" published on Seeking Alpha on March 4th, 2016. This reflationary/inflationary narrative was accelerated by the surprise results of the U.S. election in November of 2016, prompting the expectation of increased fiscal spending. Ultimately, this narrative faded, and Chinese equities, as measured by both the Deutsche X-Trackers Harvest CSI 300 China A -Shares ETF (ASHR), and the iShares China Large-Cap ETF (FXI) rolled over in January of 2018, prompting a return to the 2011-2015 landscape where global capital flows reverted back to the United States, which has become the safe-haven investment in a world of low global growth. Looking at the charts above, the pain was most acute in the fourth quarter of 2018, with global growth weakness spreading to even the relatively immune U.S. stock market, as measured by the SPDR S&P 500 ETF (SPY), which is shown below. Just when it looked like everything was unraveling, and everyone was turning bearish (I wrote an SA article on December 21st 2018 with the title, "Is Everyone Bearish? 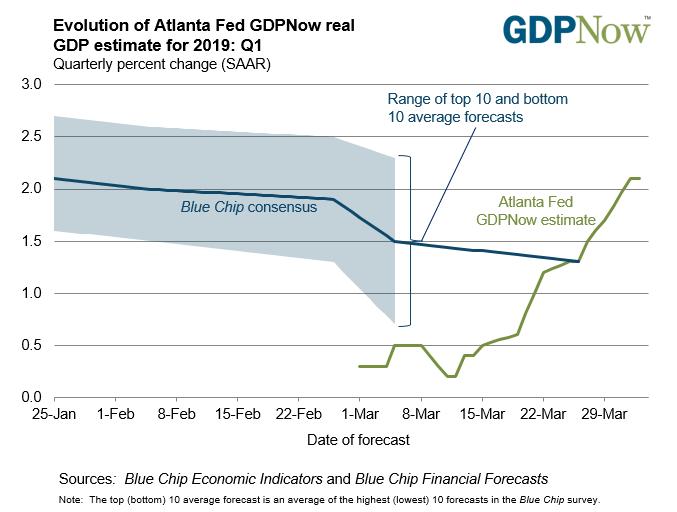 "), China stepped in with renewed fiscal and monetary stimulus (this actually started in the fall of 2019), and global central banks universally reversed their tightening bias, prompting a "V-Shaped" equity rally. Ironically, this equity rally has been led by emerging market equities, specifically Chinese equities, which were the first equities to turn down in 2018. Despite the upturn in global equity indices, and even with U.S. benchmark equity indices like the S&P 500 Index, the Dow Jones Industrial Average (DIA), and the Invesco QQQ Trust (QQQ), all within 1% of their all-time highs, pessimism and skepticism have remained elevated, partly because a portion of the U.S. Yield curve recently negatively inverted, as shown below. While short-term U.S. Treasury Yields did briefly exceed longer-term yields, as shown by the spread between the 10-Year U.S. Treasury Yield and the 3-Month U.S. Treasury Yield above, and this brought back fears of the peak-to-trough -60% S&P 500 Index bear market from 2008-2009, and the -50% S&P 500 Index bear market from 2000-2002, I believe this inversion is more a result of the current market structure, instead of an accurate forecaster, where almost all market participants are positioned for "lower for longer," combined with a healthy dose of fear. While fear was peaking, as evidenced by the yield curve inversion, economic growth expectations have actually ratcheted higher, as shown by the Atlanta Fed GDP Now Growth Estimate. Additionally, China's previously mentioned fiscal and monetary stimulus, initiated in the fourth quarter of 2018 and accelerated in the first quarter of 2019, appears to be working its way into the local economy. With both the United States, and China, the world's two largest economies, seeing their economic growth rebound, where are the opportunities? One trade that continues to be appealing from my perspective is shorting the iShares 20+Year Treasury Bond ETF (TLT). I have written about this extensively, however, to recap, it is my working thesis that bonds made a secular top in 2016, and this is going to have profound investment implications across all investment time horizons, from near term to long term. The recent secondary peak in bonds coincides with a peak in fear about global economic growth, that I believe is misguided. Almost everyone believes in the lower for longer narrative, and with sovereign bond yields around the world well off their highs, and in the case of Germany and Japan, back into negative nominal territory even on the 10-Year Yield, a lot of negativity is priced in to the financial markets, and this has happened as global economic growth appears to be bottoming, and turning higher. Commodity prices, led by oil prices, which as measured by $WTIC, are up roughly 37% in 2019 (the United States Oil Fund (USO) is higher by 34% in 2019), are confirming the bottom in global growth expectations, similar to what we witnessed in late 2015/early 2016. In summary, it remains my view that recent fears about a downturn in global growth, led by a downturn in China, are causing a secondary peak in sovereign bond prices that is occurring right now, however, once this storm passes, the secular turning point in 2016 will be cemented, and sovereign bond yields will have a lot of room to run higher, from their current levels. Once the bond market rolls over once again, look for a capital rotation, highlighted by a move from growth-to-value, that has a chance to rival, or exceed the capital rotation that took place from 2000-2002. To close, even though it has been a very difficult almost decade-long stretch for value-oriented investors, with pockets of significant out-performance, including 2016, I think we are about to enter a golden age for active, value investors, who do the fundamental work, who can find the future free-cash-flow-leading companies, and the most out-of-favor sectors and the most out-of-favor equities, including this recent public write-up, will be at the forefront of this opportunity. Disclosure: I am/we are short TLT VIA PUTS AND SHORT SPY AS A MARKET HEDGE. I wrote this article myself, and it expresses my own opinions. I am not receiving compensation for it (other than from Seeking Alpha). I have no business relationship with any company whose stock is mentioned in this article.